Let’s face the discomforting truth: Trump’s administration is just another four years of Bush-Obama. Afghanistan? U.S. troops are still there, killing and dying. Like Presidents George W. Bush and Barack Obama, Trump keeps them there. Iraq? U.S. troops are still there, killing and dying. Like Bush and Obama, Trump keeps them there. Syria? U.S. troops are still there, killing and dying. Like Bush and Obama, Trump keeps them there. In fact, when Trump expressed a desire to withdraw U.S. troops from Syria, he immediately flipped when he learned that the Pentagon disapproved of that action. North Korea? U.S. troops are still there, almost 70 years after the deep state butted into the conflict by ignoring the constitutionally required congressional declaration of war. Like Bush and Obama, Trump keeps them there and, until recently, has even threatened to rain nuclear fire and fury on North Koreans through U.S. nuclear bombers. War on terrorism? U.S. forces continue assassinating people. Like Bush and Obama, Trump keeps them assassinating. The U.S. embargo on Cuba? Like Bush and Obama, Trump keeps it in existence. U.S. military bases in foreign countries? Like Bush and Obama, Trump keeps them there. The U.S. military-industrial complex? Like Bush and Obama, Trump keeps it there and expands it. Why, Trump even flipped when the CIA put pressure on him to extend the time for secrecy with respect to the CIA’s 55-year-old records relating to the JFK assassination. Although Trump had announced all the way up to the day before the October deadline set by law that he intended to release the records, he buckled on the day of deadline, acceding to what the CIA wanted. And NATO? What has Trump accomplished in Europe? All that he has done is pressure NATO members to plunder and loot their citizens through higher taxation to help pay for NATO’s exorbitant expenses. Big deal. How is that helpful? Does anyone really think that that is going to result in a reduction of expenditures for the Pentagon, the CIA, and the NSA? If so, I’ve got a nice bridge in Brooklyn I’d like to sell you. It all confirms what Tuft University law professor Michael Glennon sets forth in his book National Security and Double Government. The ones who are in charge are the Pentagon, the CIA, and the NSA — i.e., the national-security establishment, or what people are now calling the “deep state.” The national-security branch of the federal government permits the other three branches to maintain the veneer of being in control but it’s only a veneer. When it comes to critical points of policy, like the continued existence of NATO, the other three branches, including the executive branch, are expected to defer to the national-security branch, and they do. Consider NATO, the organization that the U.S. deep state brought into existence to fight it’s Cold War against the U.S. government’s World War II partner and ally, the Soviet Union. From the very beginning, its Cold War mission was to protect Europe from a Soviet invasion. But the Cold War ended more than 25 years ago. So, why did this Cold War dinosaur remain in existence? It remained in existence because the U.S. deep state decreed that it would remain in existence. In fact, let’s not forget that as the Cold War was ending, U.S. officials promised the Soviets that in return for the Soviet Union’s dismantling of its Cold War-era Warsaw Pact, the United States would reciprocate by dismantling NATO. It was not to be. That’s because the U.S. deep state — i.e., the Pentagon, the CIA, and the NSA — decided that keeping NATO was more important than keeping a promise made to the communists of the former Soviet Union. Even as Soviet forces were withdrawing from Germany, Eastern Europe, and the Baltics, the U.S. deep state had NATO moving east, absorbing the former members of the Warsaw Pact and, consequently, moving U.S. missiles, bases, and forces closer and closer to Russia, all the while acting innocent and playing like they were oblivious to the response that would inevitably come from Russia. When U.S. officials incited a coup in Ukraine, it was with the aim of installing a pro-U.S. regime into power and absorbing Ukraine into NATO, which would then enable the U.S. government, through NATO, to come into the country and install bases and missiles on the Ukraine-Russia border. And it would all be “legal.” Equally important, so would be the Ukraine regime’s decision to evict Russia from its longtime military base at Sevastopol in Crimea. U.S. officials knew that Russia would never permit that to happen. After all, what would be the response of the U.S. government if suddenly Mexico decided to take over San Diego, California, citing the undeniable fact that the U.S. government intentionally provoked the Mexican War in order to steal the northern half of Mexico? We all know what the response would be. The U.S. government would never permit that to happen, come hell or high water. The real issue is that U.S. officials knew that NATO’s threat to absorb Ukraine would cause Russia to take over Crimea, come hell or high water, even if illegal, to ensure continued control over its longtime military base. NATO’s move was cunningly brilliant. Once Russia reacted in the predictable way, it was portrayed, once again, as it was during the Cold War, as an international aggressor that was hell-bent on conquering Europe, the United States, and the world. The only difference was that during the Cold War it was the “godless Soviet communists” who were coming to get us. This time it was the “Putin’s autocratic Russia” coming to get us. A distinction without a difference. But here’s the thing: the renewed Cold War environment ensured that the deep state — i.e., the Pentagon, the CIA, and the NSA — would continue to remain in high cotton notwithstanding the end of the Cold War, with ever-increasing budgets for them and their ever-growing army of contractors, subcontractors, and military bureaucrats. It’s worth mentioning, as an aside, that it was the Cold War itself that was used to justify the conversion of the U.S. government from a limited-government republic to a national-security state. At the time of the conversion, U.S. officials said that if the Cold War ever ended, we could have our limited-government republic back. But when the Cold War ended, they didn’t give us our republic back. The deep state would not permit that to happen. Unfortunately, that wasn’t all that the U.S. deep state had NATO doing. Expanding on its post-Cold War policy of U.S. interventionism in the Middle East, the deep state had NATO perform a regime-change operation in Libya, which, along with the U.S. deep state’s invasion of Iraq and Syria, helped inflame the death, destruction, and chaos in the Middle East even more. All that, of course, ensured an ongoing threat of terrorist retaliation, which deep state officials have used to further guarantee ever-increasing budgets, power, and destruction of liberty and privacy among the American people. When the U.S. Constitution called the federal government into existence, the idea was that the president could not wage war without a congressional declaration of war. Yet notice how the deep state has circumvented that constitutional provision with NATO. All they have to do is admit new members into NATO, such as Montenegro and Latvia, and they are able to automatically guarantee U.S. entry into a war to defend that nation, the Constitution be damned. Our American ancestors warned us against the power of big, permanent military establishments. So did Presidents Eisenhower, Kennedy, and Truman. Unfortunately, their warnings were ignored, and the United States is now saddled with the most powerful and destructive military-intelligence establishments in history. 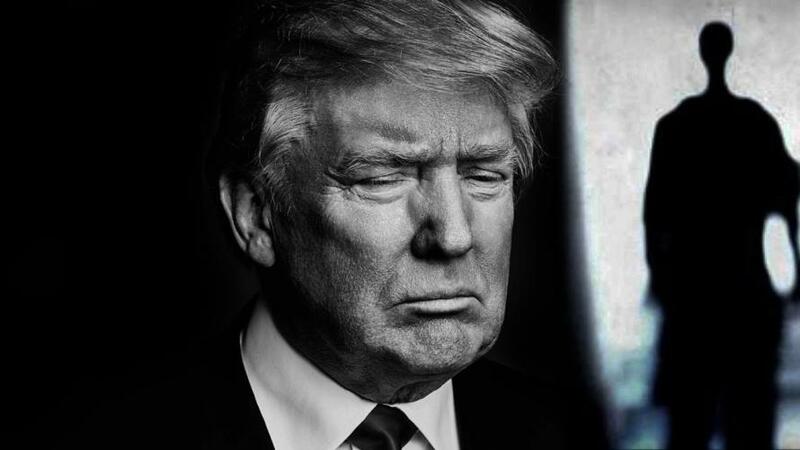 The deep state’s absorption of Donald Trump is just one more confirmation of what our ancestors and Eisenhower, Kennedy, and Truman were warning us against.